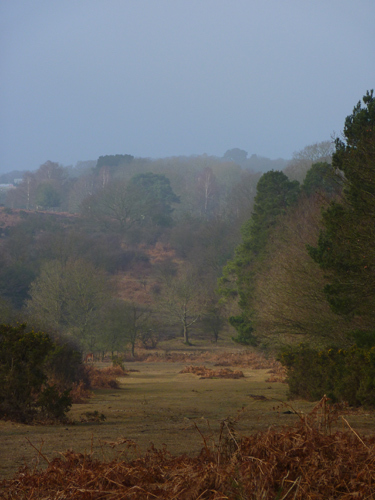 A misty morning at Linford and the setting sun from Ibsley Common. 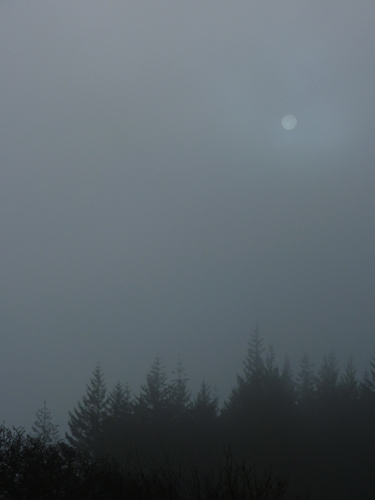 The sun, already well up, looks more like the moon shining through the mist over Little Linford Inclosure. 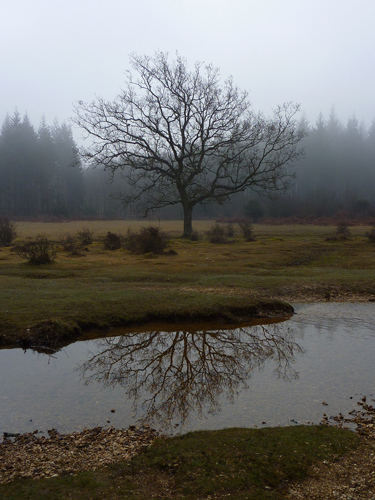 Everything is so calm this morning there are even reflections in the brook. 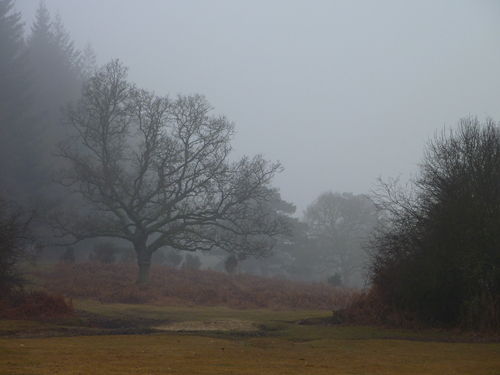 I cross the brook and head towards the inclosure, looking to my left the mist shrouds Linford Bottom. 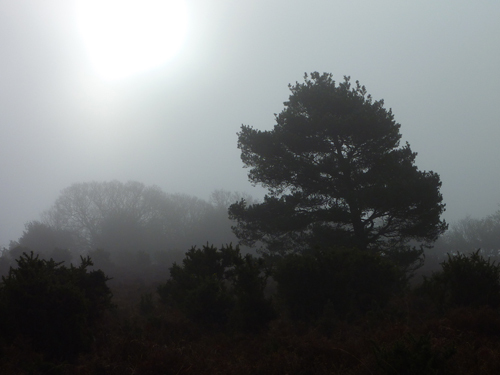 Skirting the inclosure and walking into the sun now the trees are silhouetted against the sun. 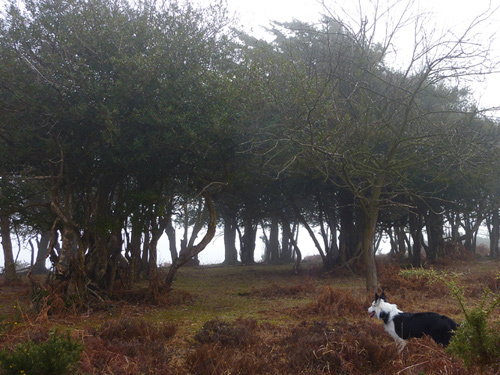 Having passed inbetween Pinnick Wood and Little Linford Inclosure I reach Marrowbones Hill with it’s group of holly trees. 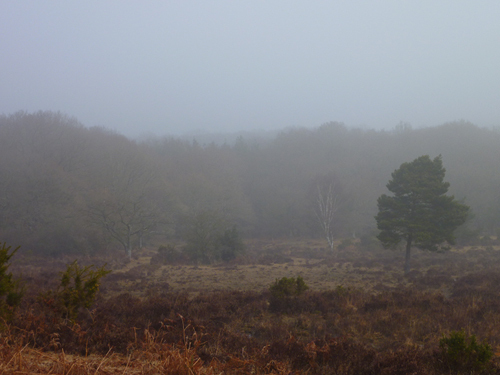 Looking back at the top end of Little Linford Inclosure, still very misty. A little further along, looking to Handy Cross Plain. 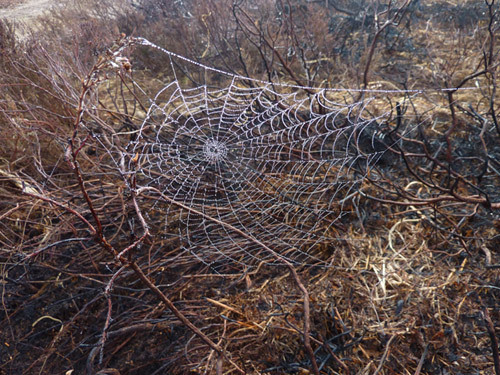 A spiders web glistening in the strengthening sun. 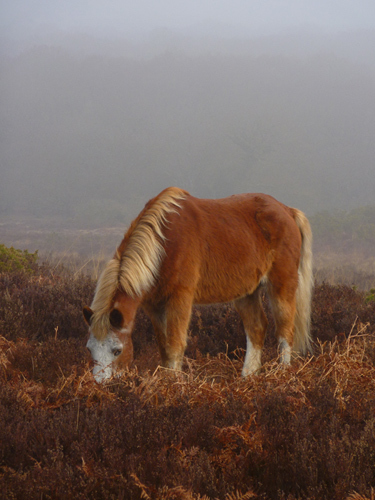 A New Forest Pony with unusual markings. 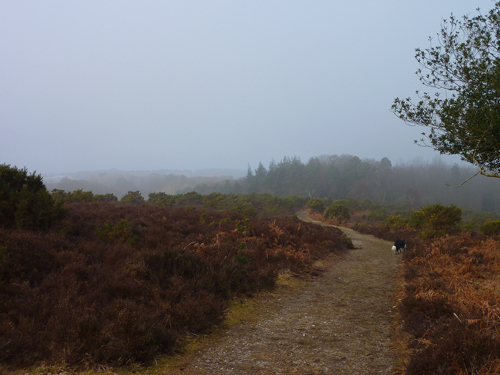 Turning back towards Little Linford Inclosure – Harry leading the way. 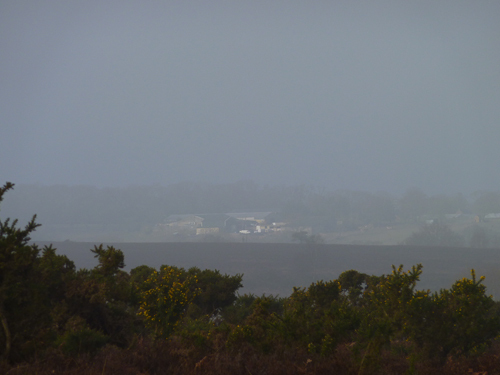 The farm that we call home shines in amongst the mist – not a working farm anymore, most of the buildings have been converted for business use. 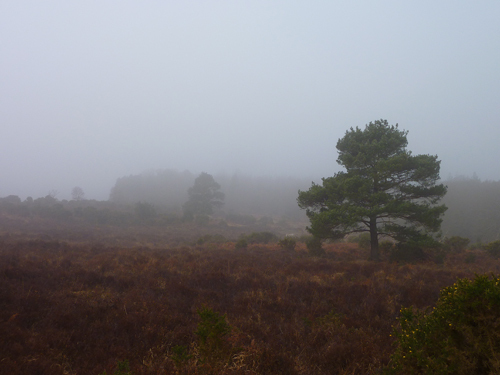 Approaching the top of Little Linford now and looking down into Picket Bottom. 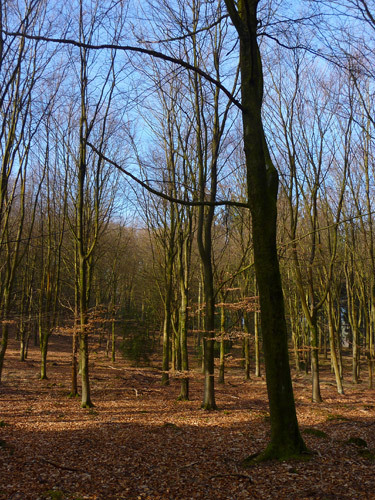 In the Inclosure, the young beech trees glow in the sun. The lower branches with some autumn leaves remaining appear to hover in the air. A phenomenon that will look even more striking once they are covered in acid green spring leaves. Watch this space! 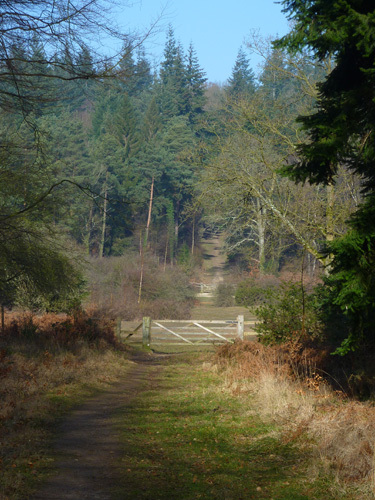 As I approach the bottom gate of Little Linford it lines up exactly with the opposite gate into Great Linford Inclosure. 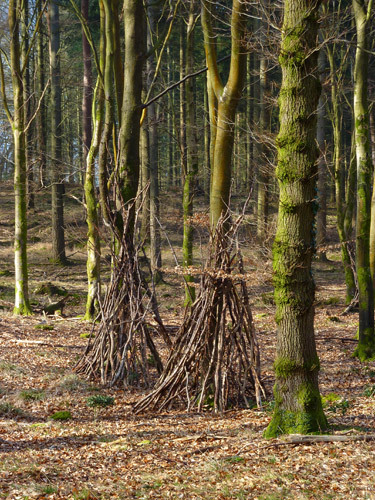 Bivouacs around the young beech trees. A popular pastime, building these! 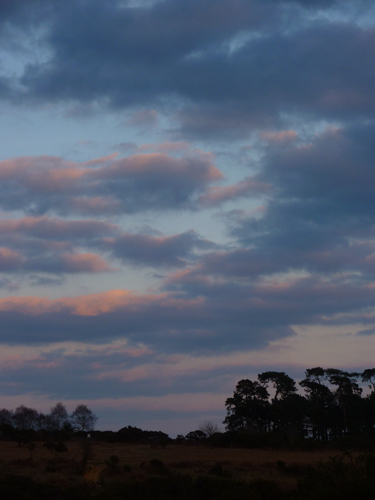 The edge of Whitefield Plantation with the clouds lit by the setting sun. 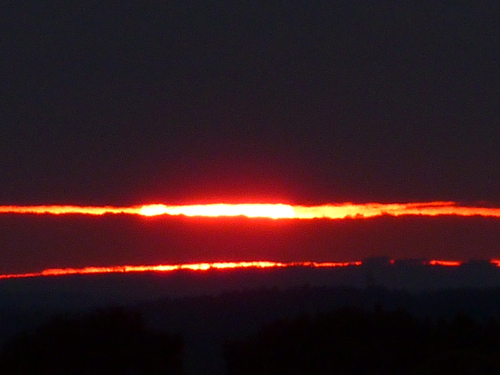 The clouds above the sun. 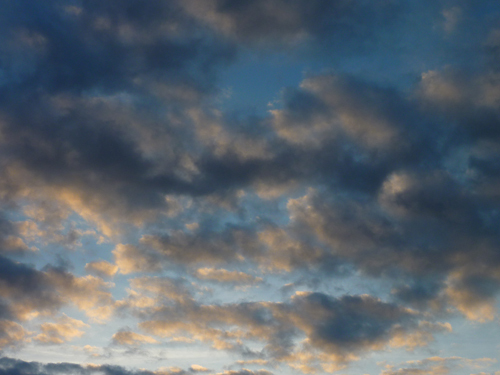 The setting sun, huge behind the gathering clouds.